Autonomous vehicles are an intriguing insurance prospect. Their arrival raises some big questions. Who will be to blame in an accident? How much risk are passengers facing? There’s a lot to ponder as driverless cars begin to appear on roads around the world. Public opinion is split on driverless cars. As many as 43% don’t trust them, while only 21% would consider making the switch from piloted to auto. Driverless cars certainly have their risks but also many possible advantages, and each will affect the insurance landscape. How close are we to a driverless norm? Predictions differ. Toyota, Nissan, and Google aim to have autonomous vehicles on the road by 2020 and BMW by 2021. As many as 23 million driverless vehicles are expected to be in use by 2035. They’re projected to generate $81 billion in new insurance revenues and drop claims by as much as $25 billion. That said, those incredible numbers depend on how “driverless” a driverless car really winds up being, and how quickly. The term “automated” is currently graded under a 5-point system ranging from zero to total autonomy. This means that only a 5-rated driverless vehicle truly lives up to the name, which in turn means that human drivers will still factor greatly into driverless insurance underwriting for the foreseeable future. Volvo has made the bold claim of one day constructing a “death proof” autonomous vehicle. We’re not there yet, however. Could driverless cars require pedestrians to have auto insurance? We hope not, but an incident in which one of Uber’s autonomous vehicles hit and killed a pedestrian in Arizona may be an indicator that early driverless vehicles could be hazardous for pedestrians. While authorities cast doubt on whether the accident could have even been prevented with a human driver, legal experts had a short answer for whom could be sued: almost everyone. Uber, the car manufacturer, and any companies involved in creating the tech. Even the safe driver in the vehicle at the time could be liable, regardless of the fact that they were not in control at the moment of the accident. There’s the possibility of a couple of precedents here. First, if a driver can be sued even when not controlling the wheel, is such a thing as an autonomous vehicle even possible? This would make the driver as liable as they would be in a traditional vehicle. Constant vigilance would be required in a driverless car to avoid a lawsuit, thereby defeating the purpose of sitting back and letting the vehicle do all the work. If the safety mechanisms in driverless cars have any possibility of failing and injuring a pedestrian – and the driverless car owner is not insured – insurance companies could offer pedestrians some form of “auto car malfunction” protection. They’d be covered in the event of an autonomous vehicle causing them harm. If the prediction proves accurate that driverless cars will one day be all there is, then a new adaptation of insurance that explicitly protects humans against them will surely accompany it. The inside view from insurers is that cyber risk will play a major role in defining autonomous auto insurance. Driverless cars are subject to cyber-hazards from malfunction to hacking, with the latter posing vulnerabilities ranging from vehicle theft and collision to kidnapping and death. Fiat Chrysler had to recall 1 million vehicles in 2015 after a demonstration proved how easy it was to hack their cars. If a vehicle accident is the result of hacking, these criminals are often untraceable. How will victims be compensated if the cause of an accident is anonymous? Could manufacturers or drivers who may be at fault blame any system malfunction on a “hacker” and somehow avoid liability? The providers of software that is vulnerable to hacking could also potentially be held liable. Product liability insurance is another area where autonomous drivers may have to cover themselves. This kind of policy is expected to heavily contribute to the $81 billion in new insurance revenue by 2035 and may cover a malfunction of the many intricate components of a driverless car. 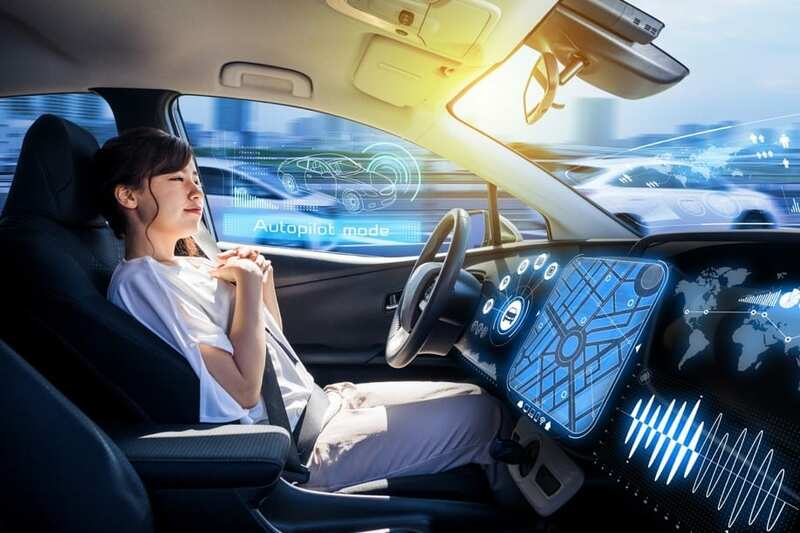 These are all important questions and many of them represent significant challenges for autonomous car manufacturers, the insurance industry, and drivers. But there are positive projections as well. Chief among them is the forecast that driverless cars may cut insurance rates by 30%. When the technology is mature, it will reduce the human error which accounts for 94% of all auto accidents. A much lower accident rate could mean much lower premiums for everyone in the years to come. There’s still a long way to go until driverless cars really take the wheel. Many of us may expect to see that happen within the next decade but for now, traditional auto insurance still reigns supreme. NICRIS is here to help you find the most up-to-date auto insurance that’s best for your current needs. And when the driverless revolution happens, we’ll be evaluating and providing the best options to keep you covered. NICRIS Insurance focuses on providing clients with the appropriate suite of products to protect them, their interests, and their loved ones. If you need some advice or would like a free, one-hour personalized insurance review we’d be happy to help online or at 516-544-0006.